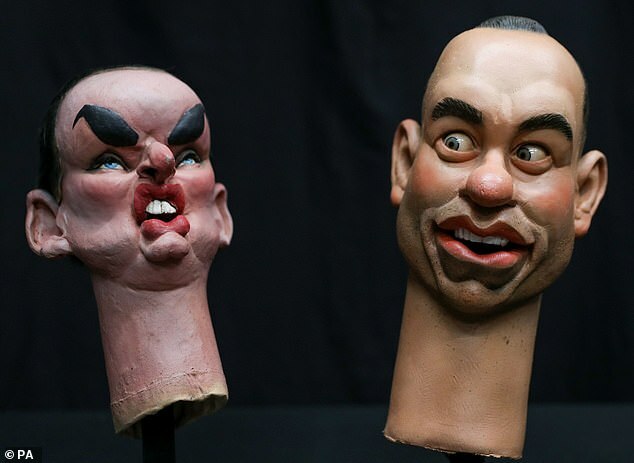 A puppet of Margaret Thatcher which featured on satirical series Spitting Image is among 40 grotesques of well-known public figures from Tom Hanks to Boy George now heading for auction. 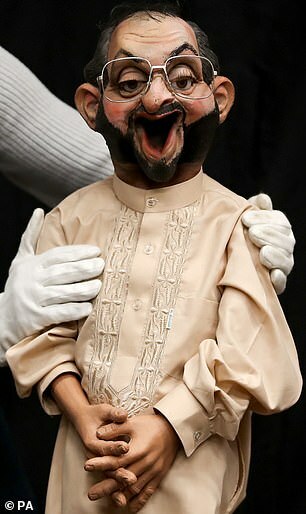 Other mocking marionettes include those of the then-PM’s husband Denis Thatcher and novelist Salman Rushdie. Prop Store chief executive Stephen Lane said: ‘We’re thrilled to be offering such a fantastic selection of puppets from the legendary British television series Spitting Image. 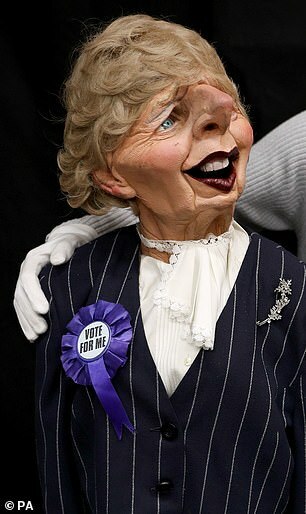 Baroness Thatcher’s puppet is expected to sell for around £3,000, with the others expected to fetch between £400 and £800. Other puppets up for auction include former US vice president Dan Quayle, ex-chancellor Nigel Lawson, Scottish actor Coltrane, actress Tatum O’Neal and writer Alan Bennett. 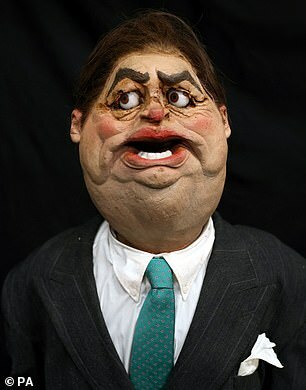 There are several Thatcher puppets in existence that are now housed in various locations across the UK. Last year, one of them was entrusted to the archives of Cambridge University. Who tried to break into David Platt and Shona Ramsey’s house in Coronation Street and what did they want?